Capture Candid Photos While Your Guests Have a Blast Doing It! These make the perfect gift since the outer gift boxes of these cameras are personalized. Cameras themselves are not. They are sealed in plastic. After checkout please email us the 2 first names you would like on your camera gift boxes. Our email is sales@thecameradepot.com. Please include your order number. If you would like another saying or diff text than shown we would need to approve it as it could be extra cost. Proofs are not included. Camera gift boxes will look exactly as shown in the picture except with your details. Font will be the same. 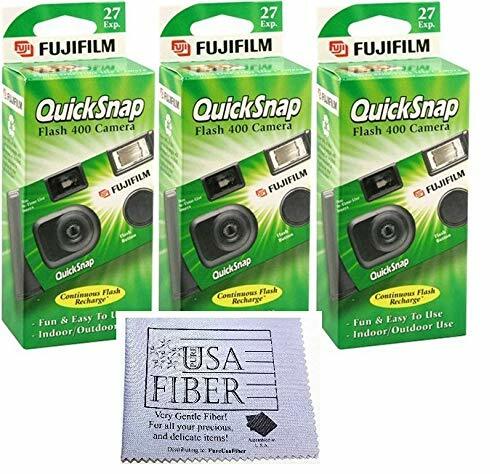 Camera Details: 27 Exposures and a built in flash Film: ASP400 speed color film Batteries: Included already inside camera Expiration Date: 10/2020 OR LATER Table Tents: CLASSY MATCHING TABLE CARDS Cameras come individually plastic wrapped inside gift boxes to keep freshness. Matching table cards say on them: Use the camera on the table to take some pictures of all our friends and family…the fun, the special moments, the cute and loveable moments, and of course not-to-be-forgotten shots. When all the pictures are taken, please leave the camera on the table. 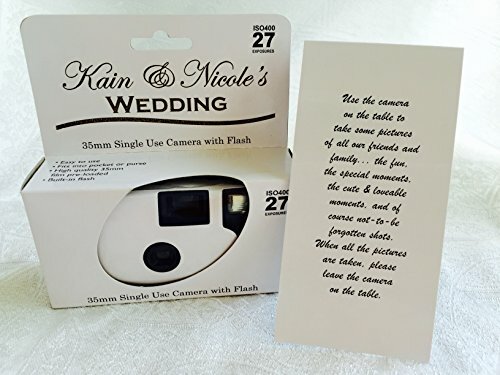 5 Personalized 35mm disposable wedding cameras with the popular plain glossy white theme. Outer gift boxes are personalized as shown, the cameras are not. At checkout please email us the 2 first names you would like on your camera gift boxes. Our email is sales@thecameradepot.com. Please include your order number. If you would like another saying or diff text than shown we would need to approve it as it could be extra cost. Proofs are not included. Camera gift boxes will look exactly as shown in the picture except with your details. Font will be the same. These make the perfect gift since the outer gift boxes of these cameras are personalized. Cameras themselves are not. 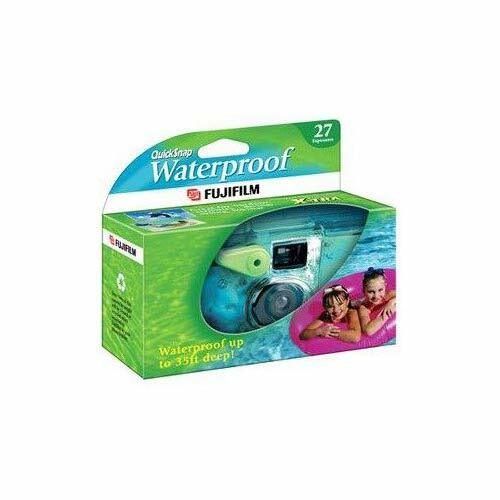 Cameras are sealed in plastic. ASP400 speed color film. Exclusively designed by The Camera Depot and not found anywhere else. Expiration Date: 10/2020 or later. 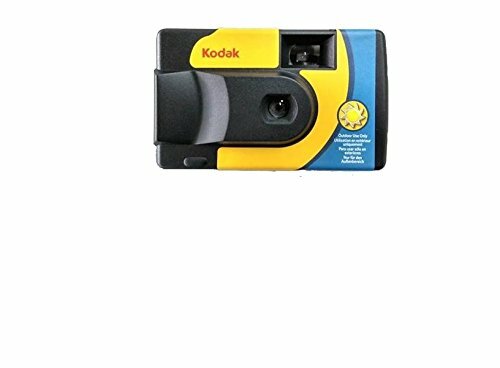 Batteries are included inside camera. 27 Exposures and a built in flash. Matching Tents are included free with your order. Matching table cards say on them: Use the camera on the table to take some pictures of all our friends and family…the fun, the special moments, the cute and loveable moments, and of course not-to-be-forgotten shots. When all the pictures are taken, please leave the camera on the table.